We offer color options in 100% Carbon/Kevlar hybrid weave in Glossy Twill Weave only. 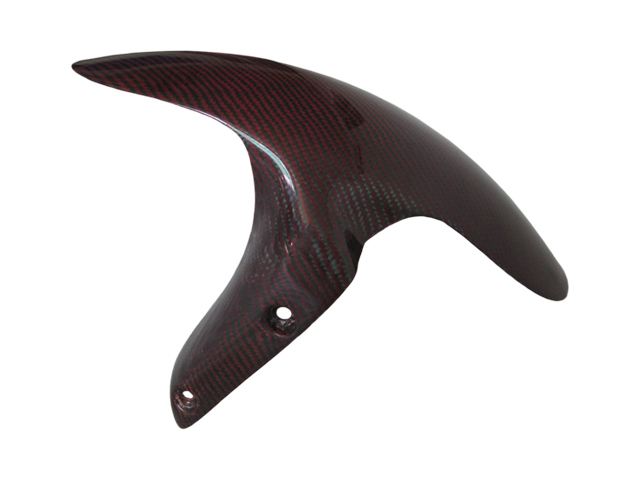 All color parts are made to order and require a 5 to 6 week production period before we can ship. Because they are custom orders, they are a little pricier than our staple finishes and do not qualify for our "no questions asked returns". However, our quality guarantee stands as does our warranty. 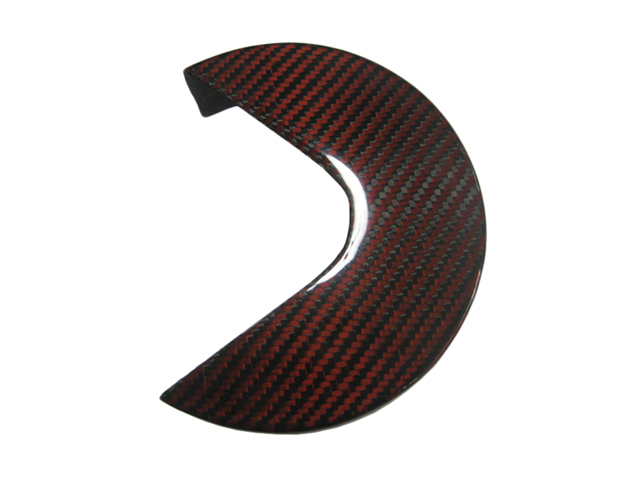 We have noticed that certain operators have offered so-called carbon color parts on the internet. 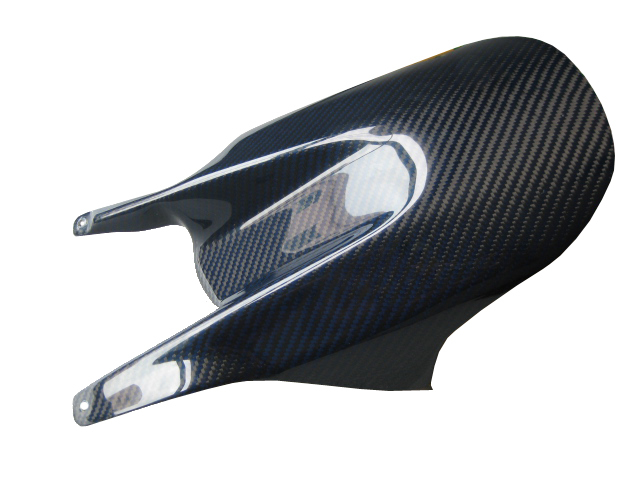 Color parts are in fact a hybrid weave of kevlar (which is the color) and carbon ( which only comes in black). 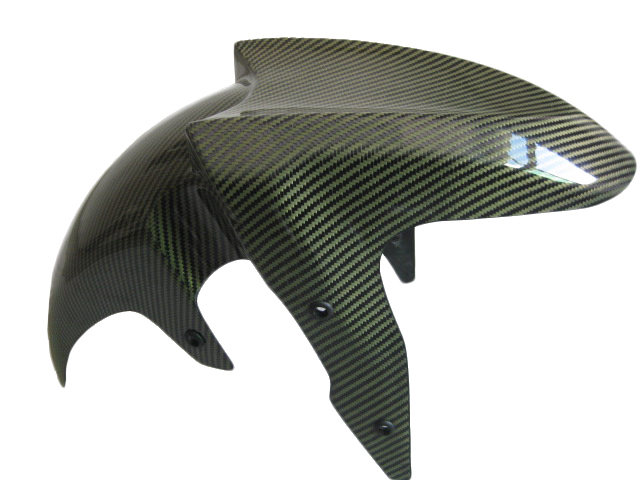 These merchants offer a fiberglass backed product, and the actual carbon content of their parts is at best 25%. 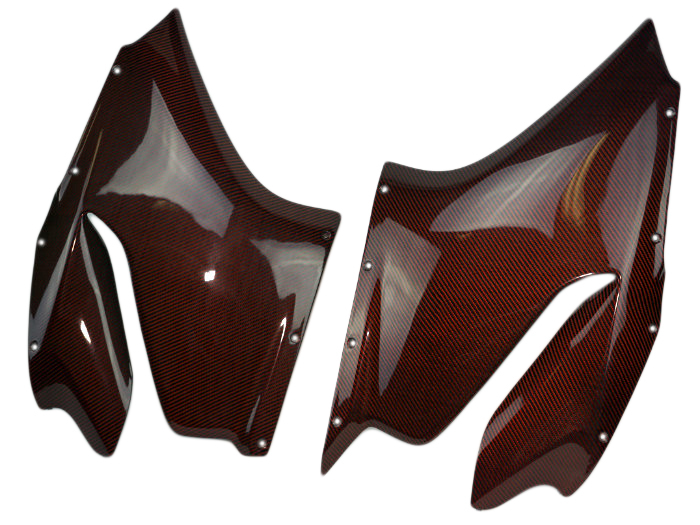 We have listed our color parts in the 100% carbon parts as an option as they sell at a premium to these and are made with as much carbon (read: no fiberglass) as possible. We are the first to have brought these to market (in 2013). Several additional colors and finishes not mentionned here may be available for certain parts on orders of US$15,000 or more. You may inquire by e-mail listing which parts and desired finish or color you're looking for to determine availability and pricing. The prepeg color carbon has only a short shelf life and therefore cannot be stored, making it uneconomical to carry all but the most popular colors. Any color other than the ones offered can only be purchased in "minimum order quantities". We only offer color parts in glossy finishes as our experience with matte color parts has been that they don't stand up well to daily use. The following photos attempt to provide a comprehensive look at what these products are all about. 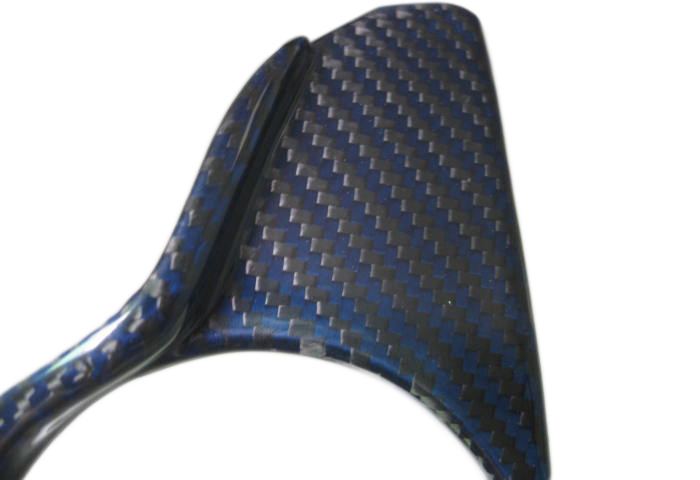 What they fail to convey is the three dimensional effect you get when looking at the highest quality twill weave carbon fiber. It is often difficult to convey the actual effect using photos as lighting conditions will vary the presentation of these products. Lower light can significantly alter the perceived color. In darker light, the black and blue can look almost black with the weave appearing golden. The red and black product will look more burgundy than red in most light, while the black and orange is an orange with reddish tint. The black and yellow will look golden, with a green hue in some light. Please feel free to contact us for additional information.